The one futuristic, sci-fi technology which so many people have coveted up until this point may be just around the corner. Better yet, it may already be here. Many die-hard Star Trek fans are well-familiarized with the various details of the series which made it the television hit it was. The original series came at a time when science fiction was not a major interest on prime time television. However, due to the catchy themes and innovative perspective the show offered to TV audiences, the show went on to inspire not only further exploration in sci-fi themes, but in real-life research and development work in science and technology. Out of all of the future-tech devices which the crew of the Starship Enterprise enjoyed, perhaps no other held the potential to transform a society than the technology of replicators. These devices played a vital role within the Star Trek series―providing food along with dishes and cutlery. These devices also removed leftovers from meals and waste, created clothing, tools and replacement parts for the mechanisms of the ship. They even played a role in the formation of the transporter/teleportation system and the recreational simulation known as the holodeck. The ability to manipulate the material world at the atomic level has been a dream of many inventors for a long while. Though this feat may not be completely possible as of yet (at least not in the civilian world), progress is being made to bring the world of science fiction into the real. As a matter of fact, we may find it interesting to learn just how much scientific development has moved in the direction of the Star Trek series. There is a lot of talk among mainstream sources lately about the futuristic potential of 3D printing. If we've been paying attention, we might be curious as to why the announcements about this innovative pursuit have suddenly accelerated to such an extreme pace. But how far can this technology really take us? An even better question may be, "Do the disclosures we've seen accurately represent the true extent of technological advancement that cutting-edge science has reached?" The technology of matter assembly and manipulation has a seemingly endless capacity to revolutionize the way in which society functions. And wouldn't you know it, this is the exact technology which, by all appearances, is currently being disclosed. Meals are prepared in 140 gram portions in recyclable container[s]. While Genie’s target population is primarily in western countries, Marco and Carasso say they designed the device with the hopes that it could [one] day help those in countries that don’t have enough food too. “It’s really nice, it’s chocolatey, it’s smooth, it’s creamy, it’s nice ... surprising actually coming from there,” said Tal, Louise cafe’s chef. Developing ways to effectively freeze-dry and re-hydrate food is a valuable accomplishment, especially when applying the task by way of smart technology which can adjust to virtually any nutritional need. When we consider the potential for a machine that can prepare professional kitchen-quality meals, the possibilities for time-saving and overall health may increase significantly. On a more basic level, the goal of storing food for extended periods of time has been a challenge as old as humankind itself. The above invention could be considered a significant leap into the future of this task, no doubt. However, what if we could reproduce the potential of replicator technology to the degree which the Star Trek series boasted? In addition to the disclosure of this breakthrough device, there was one other announcement which came in tandem with the Genie food preparation device. This development comes in the form of a material which may propel the technology of 3D printing into the distant future. Imagine having the ability to assemble matter of any kind from the atom up. With such technology, any object—whether edible or not—could be produced at the push of a button. When considering the potential for such a device, the possibilities may seem endless, and they very well may be. Here is Forbes.com with the story. CNTs have been identified as holding promise for a number of potential applications, from better golf clubs, fuels and medicines to far-out concepts like space elevators. A study published this week in the journal Science Advances confirms that Mattershift's large CNT membranes perform as well as the small prototypes we've seen so far. A molecular factory is a long-predicted technology that, in theory, should be able to accomplish some of what the Replicator from "Star Trek" does, although not nearly as cleanly as on the show. Mattershift's approach is more about separating and combining molecules to form new raw materials, which is why working on creating fuels is a logical place to start. Did you notice the common theme of Star Trek replicators in both of the articles? What do you suppose the purpose is for rolling out this concept on multiple different platforms in such a short period of time, and with such a variety of technologies? When we take a step back and look at the bigger picture, we may begin to notice the apparent coordination of disclosures from within multiple areas of scientific research occurring at this time. When we see the consistency along with the apparently scheduled and modular way in which these revelations have come forward, we may begin to realize the very strong possibility that all of these revelations were already known by those disclosing them long before the announcements ever began. These various discoveries of technology, of exoplanets that are similar to Earth, and of medical breakthroughs are not simply being discovered by mere chance at the time of their disclosure, but according to whistleblowers, these developments have all been well-known in classified science for decades. According to research, science is systemically censored and prevented from being publicized until long after discoveries have been made. Naturally, there is a lot to gain by covert interests in maintaining some level of secrecy regarding the true pace of scientific development. To add, when any organization (whether classified or public) invents a new technology of any kind, there is far more profit in putting the invention on a shelf and slowly implementing the development over a long period of time. However, when such discoveries hold the potential to save millions of lives and to change the world as a whole, the act of maintaining secrecy could be likened to a sin far greater than simple selfish interest. In essence, carbon nanotubes are one version of a material known as graphene. In basic terms, graphene is a form of carbon that is manufactured in sheets that are incredibly thin (one atom thick). Carbon nanotubes also come in layers one atom thick. Only nanotubes occur in tubular form. Both graphene and nanotubes are known for their extreme strength as well as their electrical conductivity. According to the above article, this material can also be used in the process of 3D printing in that it can provide a medium through which matter can be assembled one molecule at a time. From the above post, it seems as though these carbon nanotubes provide for an extremely fine resolution of printing. That is, the area in which a 3D printer can focus upon during printing can now literally be as small as an atom. This means that virtually anything can be printed by way of 3D-printing devices. However, this capability does not completely emulate the Star Trek method of replicator technology. Within the Star Trek series, replicators were designed to use the background energy of spacetime to assemble matter into forms which people could use. This technology provided a way for crew members to have whatever they needed at any point while making sure to dispose of any waste material and avoid cluttering a star ship with limited space. When people were finished with the meals or objects they replicated, they would simply place the objects back into the replicator array and the waste would disappear entirely. Even though the proposed devices above require raw materials to convert into the items they might need, these devices provide a significant vision of the future of food and material production and recycling. 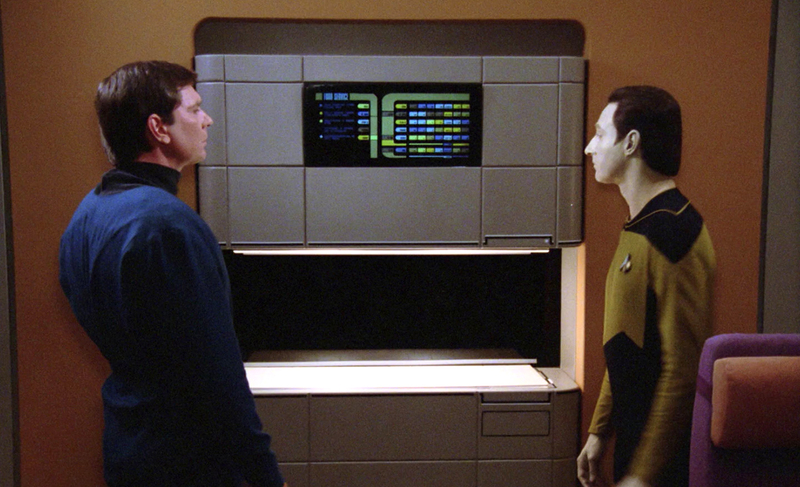 But again, we ask, is this as far as technology has progressed in the area of 3D printing or replicator technology? According to whistleblowers, the answer is most definitely not. Just as corporations ensure their own profit by concealing their own developments over time, military and corporately contracted interests typically stay ahead of the competition by classifying all of their scientific discoveries and developments so that they have sole control over the pace of disclosure and development of the products that result. Scientists may know that more is going on with regard to research and development than they have been made privy to. They are not unintelligent, and quite honestly, it is difficult to work in science without knowing that many other institutions and establishments are undertaking the same areas of research (and more). Just like anyone else, these scientists are likely familiar with the reality that classified projects do exist and typically have access to resources which those on the civilian side of science do not. If scientists are intelligent enough to realize that these projects do exist, why then do some behave as though they are skeptical whenever certain topics of technological advancement are presented for discussion? Related links - Military.com Discloses Existence of Anti-Gravity Technology; Deletes Post Only Days Afterward - What's Going On? According to whistleblower testimony, the scientific establishment is actually censored from openly discussing matters which the corporate establishment believes should remain secret. Even when established scientists attempt to discuss matters of the unknown, the mainstream science publishers typically ridicules them and commonly disregard their work from that point forward. This has happened so many times that it can make us wonder whether or not there is some sort of obligation among scientific publishers to shy away from speaking about unorthodox theories of science. Even when unconventional and yet verified scientific theories are presented, the mainstream will predictably oppose the dissenters of convention—selectively rejecting the scientific method whenever the method may uncover secretive topics of discussion. Consequently, the future of science is being redefined, not by the mainstream, but by trail-blazing figures who have chosen to disregard the slower and constraining ways in which scientific convention operates. These trailblazing scientists worry little about the mainstream approval of their work, and have helped to revolutionize their fields of study as a result. Consider for a moment, the possibility of constructing matter from the atomic level up. If we can grasp how revolutionary this feat might be, we will likely be flabbergasted. When we consider the thermodynamic principle that energy cannot be created or destroyed, we may be considering the limitations of technology such as a replicator or a transporter pad. However, when we consider technology that simply rearranges matter which already exists, the game changes. If we were to learn that these numerous announcements of these developments were being deliberately scheduled and rationed out by the MSM over time, the fact might not be very surprising. Consider how significant a world change might be if all of a sudden, there were a mass disclosure and distribution of advanced technology. In just one month, the planet could have endless provisions of food, water, medicine, energy production, and transportation all while having left the oil companies behind. However, before reaching this state of a futuristic world, we must first overcome the secrecy which is keeping these technologies under lock and key. Sure, certain corporate interests desire to maintain their profits, and military interests may hold the intent to stay one step ahead of any potential enemy. However, there are many threats which can endanger a population aside from bombs, guns and soldiers of an opposing group. Starvation, drought, and famine can be greater threats to public safety than any foreign or alien force. Yet how willing are these institutions to prevent these issue from occurring? If a military establishment claims to desire to protect its own people from threats to their lives and safety and yet actively and deliberately conceals obvious life-saving technology to save that population from certain disease, starvation, and death, that military force proves itself to be just as much a threat as any foreign enemy or invader. If these technologies truly exist as numerous whistleblowers maintain they do, those who have developed them through military interests have an obligation to use them for benevolent purposes as opposed to merely ensuring the financial superiority of a few billionaires.